London: A World of Eating is a little map from Herb Lester – prolific producers of quirky pocket London maps with bespoke cartography (we recently featured their Punk London map). 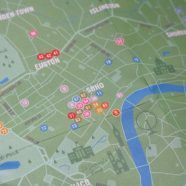 The map, which showcases some of London’s many interesting eateries featuring food from other countries, is sold out on their own website, but copies are available from Place in Print for just £4. 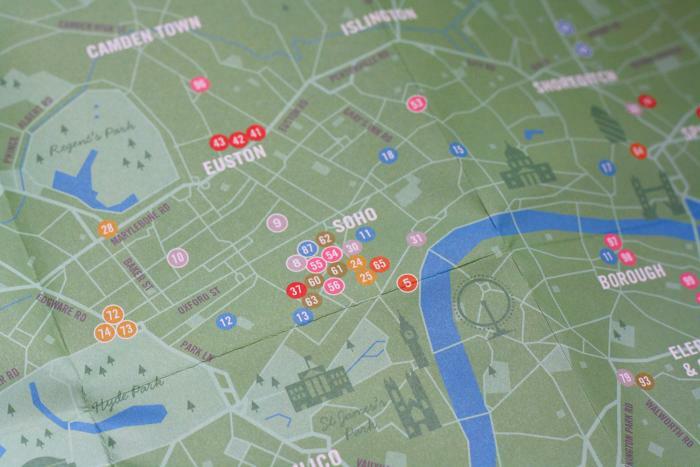 We like the simple green-toned map, with bright coloured buttons showing the food hotspots. As you might expect, Covent Garden and Soho form London’s biggest cluster, though King’s Cross, Brixton and Borough are three of the other areas with multiple must-visit locations – there’s over 100 in all. Like food maps? 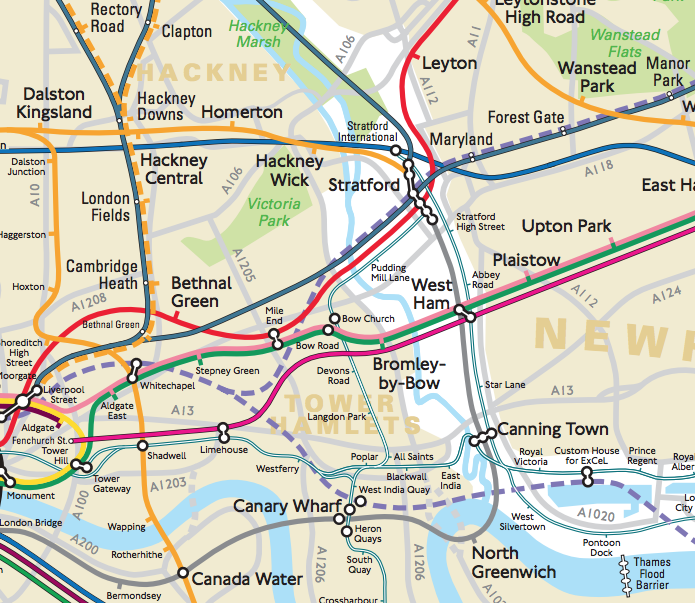 See the “Related posts” links for more great London food maps. To celebrate London’s fantastically varied cuisine, we have a competition! You can win three pairs of tickets to the BBC Good Food Show taking place at London’s Olympia exhibition hall, from 11-13 November. The tickets are good for visiting the show on Friday 11 or Sunday 13 (so not Saturday 12). We will pick three winners randomly and will post you the tickets. To be in with a chance of winning, you need to (1) be following MapLondon on Twitter, and (2) retweet our competition tweet (or this one). We’ll three winners at random and direct message you to let you know and find out where to post them to! Competition closes at 2pm on Tuesday. Good luck! Terms and conditions: This competition is only open to UK residents. The prizes are three sets of two complimentary passes to the show, for use on Friday or Sunday. The tickets do not have a cash value. There is no cash alternative. Winners will be contacted by a Twitter direct message. 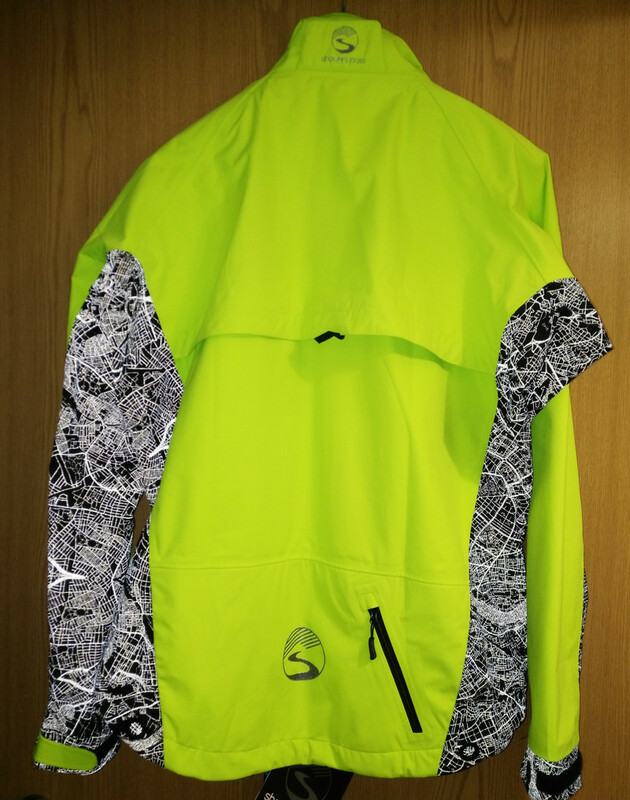 To enter, you must be following the “MapLondon” Twitter account, and have retweeted the special competition tweet. Winners will be picked randomly from the list of retweets of the message. The competition closes on Tuesday 8 November at 2pm, we will draw then and post out the tickets by Royal Mail First Class on Wednesday 9 November, as long as you have supplied your address. The competition being solely run by Mapping London. Herb Lester, Place in Print and the BBC Good Food Show organisers are not affiliated, except that BBC Good Food Show supplied the tickets. 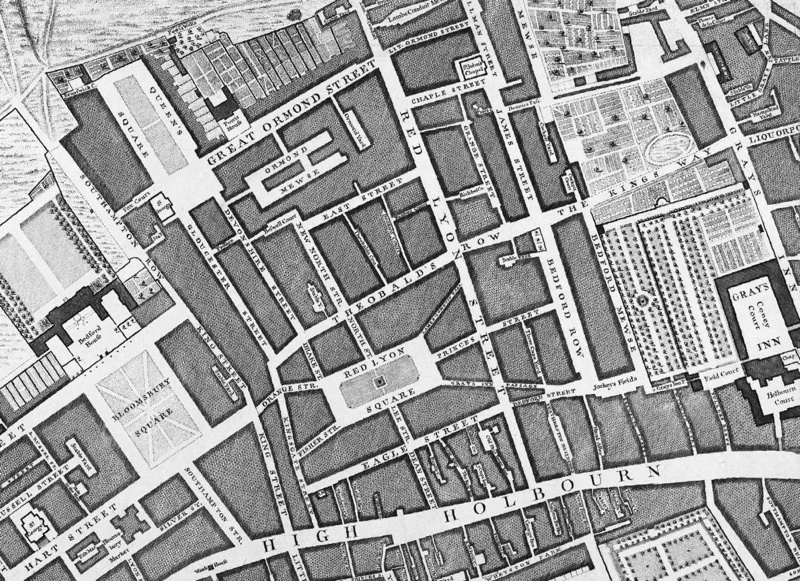 Imagery from Place in Print.